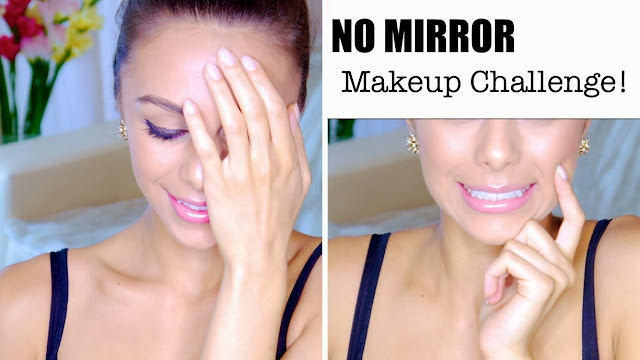 Annie Jaffrey: No Mirror Makeup Challenge! I'm going to give it a try just for the fun of it. I know it must be challenging great job beautiful. I love how you always talked about being positive and pointing out the good things about yourself rather than the bad, and thats what you did! You concentrated more on what you did that was good rather than going on so much about what u did slightly differently for example your eyebrows! So good on you Annie! You practiced what you preached so i respect you even more! Nice job ;) Really funny!! Oh how wonderful! Very beautiful, thank you for sharing! Cute!! Loved this video!! We just posted a Fall Lookbook that we'd love for you to check out, Annie! :) I've been following you since you first started out and would love the support!! You did a great job!! I love how real you are - the brows and the eyeliner clearly show that haha :) Thanks for sharing! great tag!! you look great anyway! These types of videos are too funny! And you still managed to look stunning without a mirror. Hi Annie! I just love your videos! I think you are so sweet, classy and intelligent! I so appreciate that you love to inform yourself on health and beauty. Also, I do have a question for you. I currently have an old set of make up brushes and am looking to buy some new ones...do you have any favorites or recommendations on make up brushes? Which do you think every make up kit should have? Thanks so much! Hi Annie! First of all, I LOVE YOUR VIDEOS!!! It makes my day! I love your makeup tutorials and your tips etc... But i would like to ask you, if you could do a makeup tutorial for prominent/protruding eyes?! Because I have those protruding eyes and I'm pale, have brown hairs and blue eyes and everytime I try to do a nice eyemakeup it looks horrible. It makes me sad/cry. Could you help me? Great rewards from Berlin Germany :-* ;););)! Hello Annie.. I want to ask you something. Do you think we shoul put first our foudantion or our concealer? Is that purple eye liners? Wow amazing. Its really suits you.